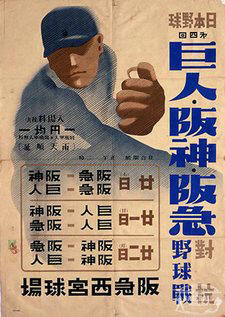 During World War II, the Japanese professional league continued to play until August 1944. Just as in the United States, the game served as a major morale booster to civilians and servicemen, and despite being at war with the nation that introduced them to baseball, the Japanese people could not curb their insatiable appetite for the game. Professional teams such as Kyojin (Tokyo) and the Hanshin (Osaka) Tigers played 80-plus games a season between 1940 and 1943. However, the draw on manpower reduced teams to a 35-game season in 1944, playing one game every four days. 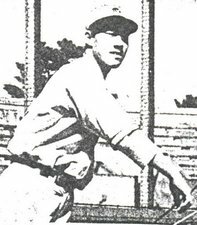 By 1945 nearly all professional players from Japan's eight teams were in military service and 69 of them were killed, including national superstars Eiji Sawamura and Shinichi Ishimaru. I am proud to present the complete list of Japanese professional players killed between 1937 and 1945. I believe this is the first time the list has been displayed in English and I'm very grateful to Hirofumi Oda for his expert translation. 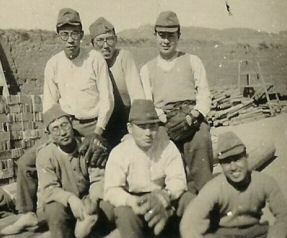 Japanese soldiers take time out to play baseball Baseball played by Japanese soldiers at a hopsital. 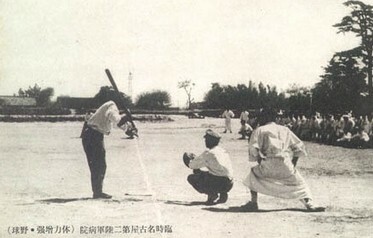 Played for Nankai from 1940 to 1942. He then served with the military during the war.